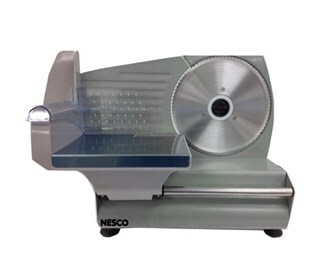 The Nesco FS-160 is a food slicer sports a powerful 180 watt motor and a large multipurpose 7.5" hardened stainless steel serrated blade. 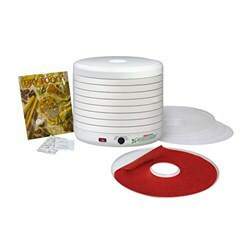 Slice meat, cheese, bread, vegetables and fruit quickly and easily with this quality slicer. 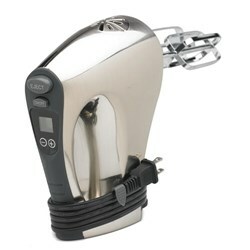 Features precision depth control, variable thickness control knob for 9/16" thickness range. 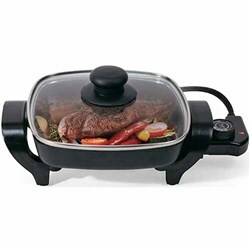 The Quick Release food carriage allows easy clean-up. 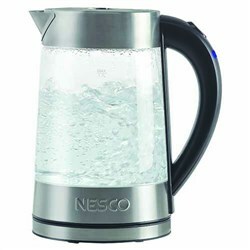 The Nesco 180 Watt Food Slicer has many exciting features for users of all types. 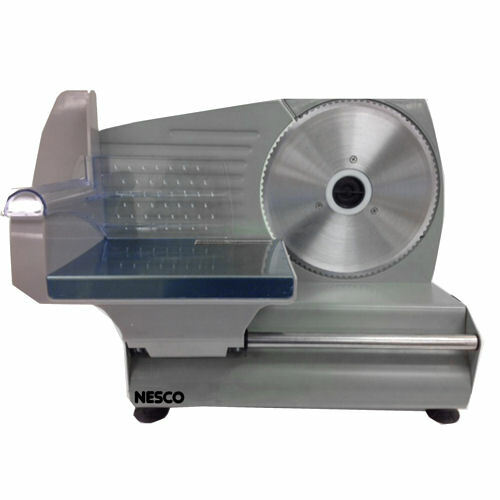 You can extend the lifetime of your Nesco 180 Watt Food Slicer with the purchase of a FactoryOutletStore Factory Protection Plan. 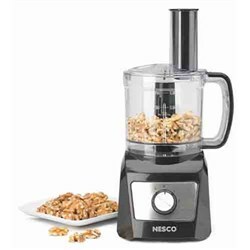 FactoryOutletStore stocks a full line of accessories like Nesco 16-Speed Hand Mixer, Nesco 500 Watt Black Food Grinder, and Nesco 8 inch Electric Skillet for the Nesco 180 Watt Food Slicer. 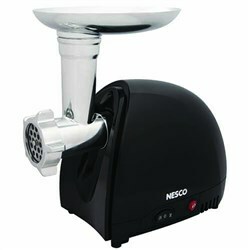 The Nesco 180 Watt Food Slicer is sold as a Brand New Unopened Item.